On Leuven’s Grote Markt, French designer Damien Chivialle places a greenery on top of a container in which a aquarium with fish is housed. The fish’ water and excrements feed the greenery plants, who in turn purify the water that flows back to the aquarium. 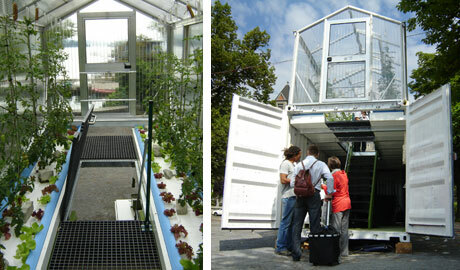 The result: UFU (Urban Farming Unit), a self-regulating city farm the size of a parking spot. Normally, such a container is found in industry, but with UFU it is used to test new applications in a city context. Cycle cultures are central in the research on biological farming without land. 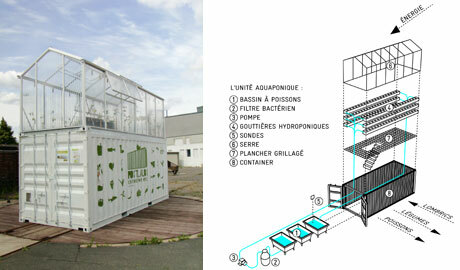 2011’s UFU is one of many container projects in a.o. Paris, Lissabon and Zürich, and was recently shown at Brussels’ Kaaitheater.